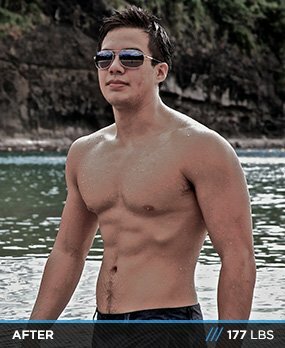 Body Transformation: Mistakes Turn Into Major Muscle! Patrick used to be chosen last for sports teams in school. That would be ridiculous now. Check out this teen's physique overhaul that started with the right attitude! In middle school, I was regarded as the "chubby kid" who was the last picked in almost every sport. As I grew older, my Dad turned me onto weight training and I was inspired by fitness/bodybuilding icons like Bruce Lee, Frank Zane, Dorian Yates, and Mike O'Hearn. After being ridiculed many times and embarrassed alongside my peers in middle school, I decided it was time for a change. This is when I considered getting into judo, boxing, and jiu jitsu. Throughout years of blood and sweat, I noticed the various benefits of weight training in my body and my athletic performance. Soon after, I won bronze and silver medals in judo after only three weeks of training. This surprised me because I defeated men who had competed for five years. After the success I achieved through weight training, there was no better feeling than achieving my goals. I started to get more respect. People who used to ridicule me kept quiet and had nothing to say. I felt more confident about my self-image and used my knowledge to ameliorate people who wanted to be bodybuilders. The benefits I achieved from bodybuilding keep me from never skipping a day on my schedule. All success you achieve is determined by your will to carry on through the journey despite your mistakes. I had lots of problems during my transformation phase, but kept my head up and stayed disciplined. I kept hitting the gym every day without a trainer and learned from my mistakes. I only wanted to lose weight at first, so I kept a strict diet (with major help from my doctor, Dr. Chen), stuck to lean fish as my protein source, and green vegetables as my carbs. After I realized the benefits of dieting, I started to intensify my workout regimen. I'm still self-coached, but there are always areas for improvement. I use a five-minute warm-up on the treadmill and a full-body stretch before training. 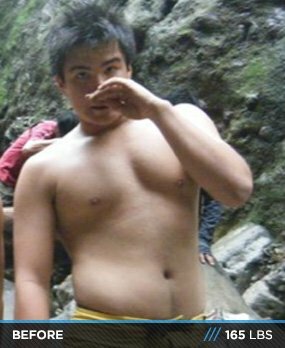 At first, it was purely cutting, and even when I achieved a good diet, I hit a plateau and couldn't lose more weight. I struggled on this for nearly a year without seeing a huge mistake in my diet plan. Despite the fact that I consumed quality protein and an adequate source of water, I consumed the wrong carbs, such as pasta, rice, and bread, and switched to the right kinds, like nuts, vegetables, and fruit. I plan to keep my interest in bodybuilding for the rest of my life. However, I don't plan to make a profession of it. I enjoy helping others for free at school and plan to help my peers for as long as I can. Keep your head up no matter what. For learners, mistakes never exist because you become a stronger person after each mistake. When you feel like giving up, remember that sunshine lies ahead of the storm. For those who learn in the midst of failure, success is born. 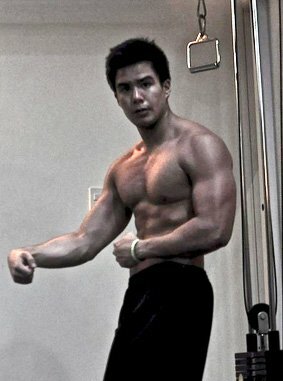 Bodybuilding.com helped me in many ways. Studying professionally-endorsed workout regimes like Dorian Yates' Blood and Guts Trainer allowed me to form a solid understanding about workout schedules. BodySpace enhanced my understanding as it allowed me to see a more balanced perspective between amateurs and pros regarding any subtopic of bodybuilding. Basically, I love that it allows amateurs and everyday people to voice new experiences and findings, rather than only focusing on professionals.